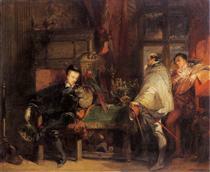 In 1825 he met Delacroix on a visit with Alexandre-Marie Colin to London, and they sketched together there, and shared a studio for some months in Paris on their return; Delacroix influenced him in turning to historical painting. 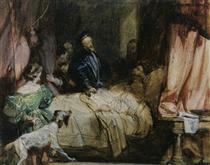 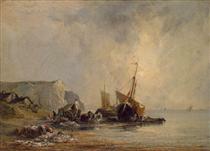 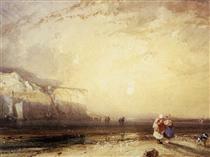 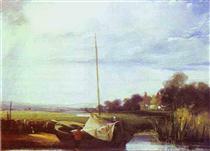 He also developed a technique mixing watercolour with gouache and gum, achieving an effect close to oil painting. 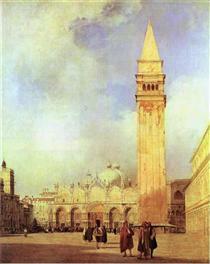 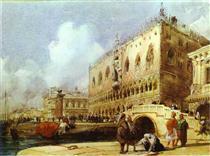 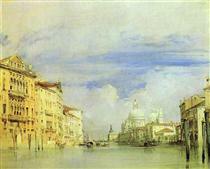 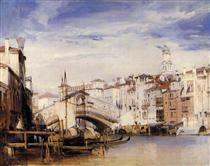 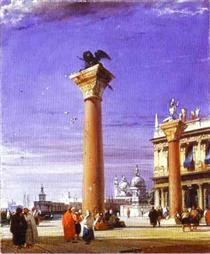 In 1826 he visited northern Italy, staying in Venice for a month, and London again in 1827–8. 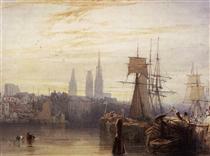 In late 1828 his tuberculosis worsened and his parents sent him back to London for treatment. 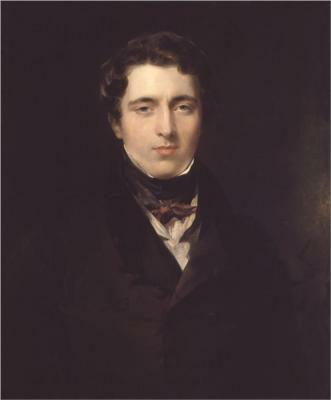 Bonington died of tuberculosis on 23 September 1828 at 29 Tottenham Street in London, aged 25.